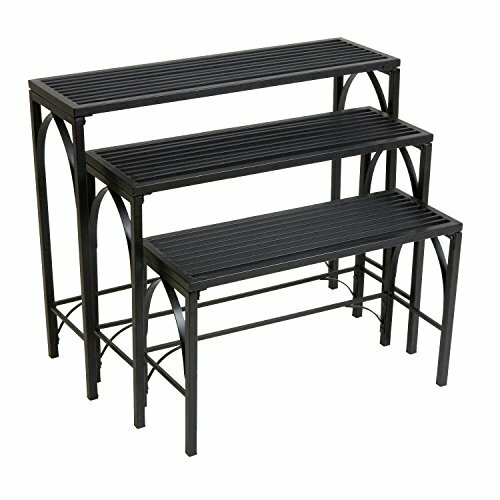 This three tiered nesting plant stand is a great accent to any garden or patio. Each of these tables has a grate-like top, perfect for housing potted plants. The leg braces all feature a pointed, gothic style arch in the center. Versitility is an added feature to this item, due to the ease of movement between the three tables.